teamwork: “genuinely nice and easy to work with”, “unstuffy”, “hard-working”, “a good team player”, “user-friendly”. Meredith appears in damages actions, claims for injunctions and challenges to regulatory decisions. He has considerable experience of cases which raise further issues such as conflict of laws and interaction with intellectual property law. 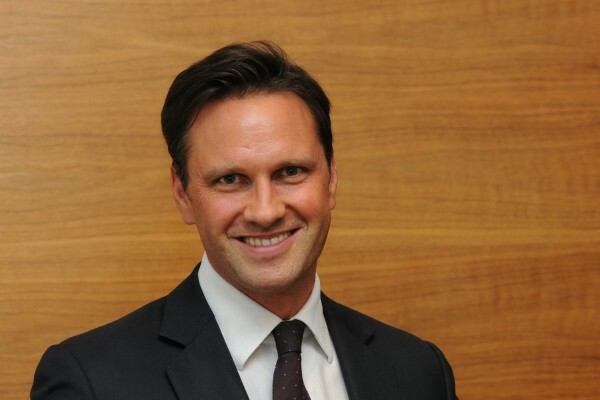 In addition to involvement in cases across all main industry sectors he has particular experience in the technology, media and telecommunications (“TMT”) sphere. Chambers UK noted that “scarcely anyone can remember a major telecommunications regulatory challenge in which Meredith Pickford hasn’t been involved”. The Lawyer Hot 100 noted that “Pickford possess an impressive list of blue-chip clients … keeping his diary packed with instructions.” They include: (in TMT) Google, Samsung, Sky, Vodafone (including Cable & Wireless), Everything Everywhere (including T-Mobile & Orange), Three, TalkTalk, Alcatel-Lucent, Verizon, Level 3, Gemalto, FA Premier League, the Digital Entertainment Group (a film and TV industry organisation whose members include studios and distributors such as Warner Bros, Sony, Universal, Twentieth Century Fox, Lionsgate, Gaiam Vivendi, Paramount, HBO, Walt Disney, and others involved in home entertainment including Samsung, Intel, Microsoft, Panasonic, Philips and others), ITV, Channel 4 and (IP specialists) Sisvel and IPCom; (in power and water) National Grid, EdF, ScottishPower, Dŵr Cymru (Welsh Water), Scottish Water; (in transport) Virgin Atlantic, easyJet, Korean Air Lines, P&O, Stena, DFDS, Tubelines; (in manufacturing, retail and other sectors) Dow Chemical, TEVA, Carphone Warehouse & Dixons, Morrisons, Intercontinental Hotels and (regulators) the OFT, Ofcom, Ofgem and Ofwat. 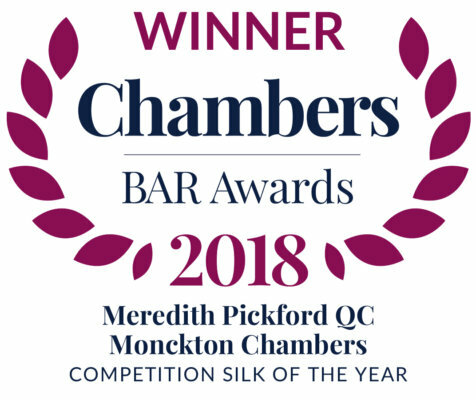 As a junior until 2015, Meredith was for a number of years ranked as a “star individual” in competition law by Chambers UK, was in the top band of leading juniors for telecommunications, and was listed in the ‘Chambers 100’ of the best juniors at the UK bar.